Looking for a way to improve the communication with your users? We would love to help you on your way by introducing you to Nexmo’s messaging APIs. Their APIs will help your business improve the quality of your customer communication. There is no better way to make your customers happy. Many businesses communicate with their users in a way that does not make their users happy. They might suspect that there is a better way to communicate with users and know that the reputation of their organization is being damaged. But they might not have the knowledge, the skills or the resources to improve the quality of their customer communication. Do you recognize this? Then the messaging APIs of Nexmo are definitely worth taking a look at for your business. 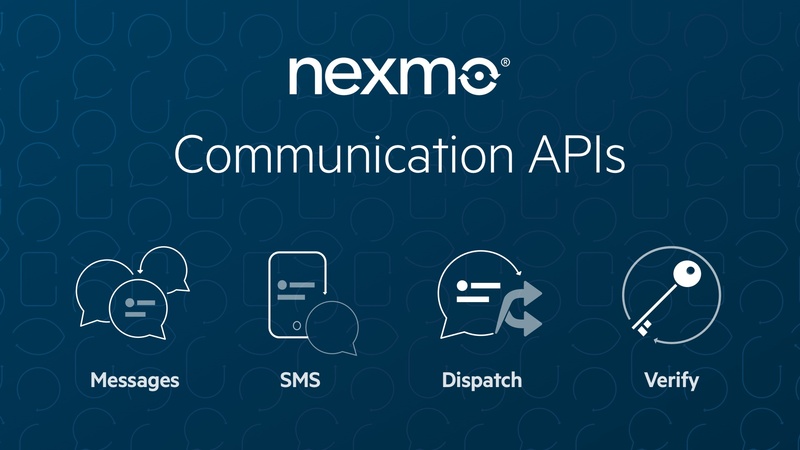 Nexmo’s messaging APIs help businesses bring their customer communication up to standard. Implementing their APIs makes your communication with your users more engaging, convenient and efficient. And that makes everyone happy, employees and customers alike. Read more about the partnership between the API Store and Nexmo. When we think of messaging, chances are we immediately think of SMS or WhatsApp. And that’s not surprising, because these are very important tools for sending and receiving messages. However, just using SMS and WhatsApp does not bring the best results. You can optimize your communication by doing customer experience (CX) research and data analysis. The way to optimal customer communication is an ongoing process of continuous improvement and iteration. Nexmo APIs reinforce each other in order to obtain brilliant B2C communication. A good example of a Nexmo API that can help you on your way to brilliant communication is the Dispatch API. This API enhances the communication towards your customers in the way and at the moment they feel the most comfortable with. Furthermore, this intelligent API makes your life a lot easier, by leveraging the most engaging messaging channel and by providing you with immediate insights on what’s relevant to your customers. Together with the multi-channel Messages API, the Dispatch API allows you to implement comprehensive failover solutions across SMS, MMS, and social chat apps. Create DIY flows with a single API call and access immediate insights on delivery status, from undelivered to unread and more. Read more about the Dispatch API. As you will understand, you create more value if you decide to use a combination of Nexmo APIs. That is why I would like to invite you to have a look at the other APIs. Nexmo APIs are easy to use and loved by us at the KPN API Store. Wherever your users are, Nexmo can help you build or re-build the foundation of real-time messaging, simply by integrating a combination of the Nexmo SMS, Messages, Dispatch, or Verify APIs via the API Store. SMS: Gives your customers the opportunity to respond to your SMS messages. Read more about the SMS API. Messages: Increases engagement and optimizes costs with SMS, MMS, and social chat apps. Read more about the Messages API. Verify: Authenticates your users and your business with an all-in-one, verification. Read more about the Verify API. One of the main reasons KPN has chosen to partner up with Nexmo is how easy it is to implement their APIs and how convenient their APIs make communicating with customers. Another important reason is Nexmo’s understanding and compliance of worldwide technical requirements and local laws. The chances that you encounter unpleasant surprises doing business in foreign countries are absolutely minimized. Thinking about using Nexmo APIs?